Liverpool fans have made the most of the opportunity to gloat again after yet another impressive performance from Dominic Solanke. The summer signing’s cleverly guided first half header opened the scoring in Saturday’s 3-0 win over Hertha Berlin and gave Reds the chance to thank Chelsea, who decided to sell the 19-year-old during this transfer window. 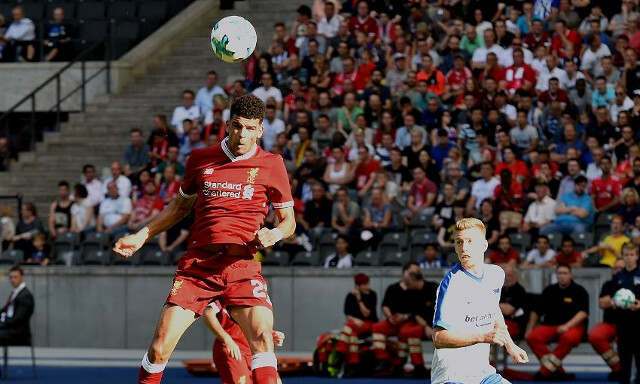 Solanke added to his total in Berlin having also scored a fine goal in the club’s recent Asia Trophy win over Crystal Palace in Hong Kong. It was the latest standout moment in a bright start to life at Liverpool for the England U20 World Cup winner, who has already gone someway towards proving he is ready to fight for a first team place next season. Though it remains to be early days, the signs are there to suggest he will be more than just an U23s player in his first year on Merseyside. How good does young Dominic Solanke look #LFC fans? Great capture by Klopp and hopefully he’ll get the ball rolling in the Prem. I like the look if Solanke. hes a good old fashioned poacher by the looks of it.